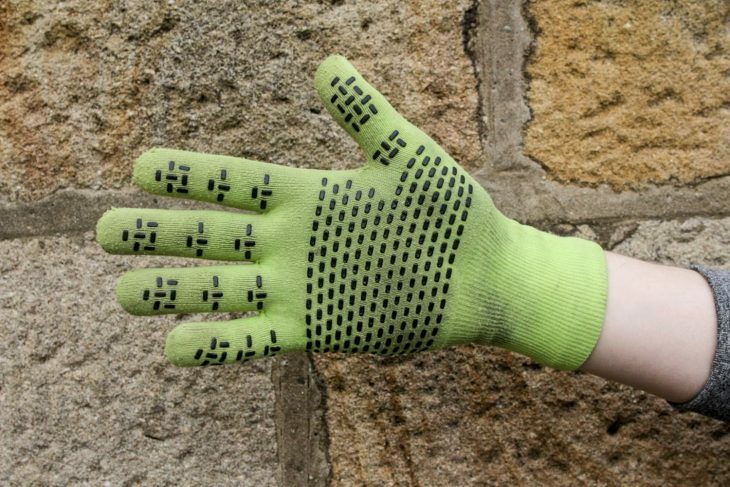 The Showers Pass Crosspoint Waterproof Knit gloves appear to be a fairly simple knitted pull on glove, and indeed they’re sold as ‘multi-purpose’ rather than ‘cycling specific’, so you might not expect many of the features we’ve come to expect in a cycling glove. But there is a little more going on than meets the eye. 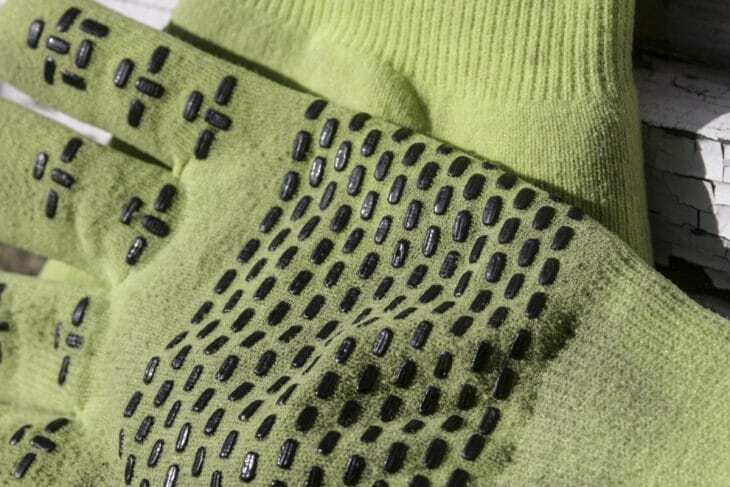 The external fabric is a ‘wear resistant knit’, inside there’s a waterproof Artex membrane, and then the inner has an antibacterial knit Coolmax lining. 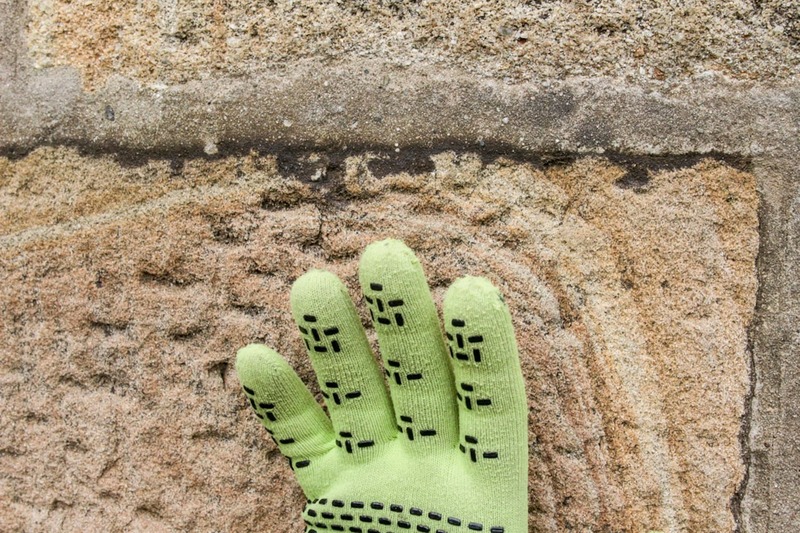 The palm and fingers have silicone print for added grip. And that’s it. So, actually, still fairly simple: there’s no snot wipe, touch screen fingertips, or wrist adjustment. Oh, there are three colours – two of which are of the neon variety that might just help hand signals stand out. Hannah working on her traffic signalling. Does this simplicity add up to something that works on the bike? I’d answer ‘pretty much’. I’m not sold on the external ‘wear resistant knit’ as I find it too willing to stick to Velcro fastenings – of which there always seem to be some about my person. Trying to get waterproof coat wrists cinched up over the cuffs on the gloves can be particularly frustrating. They definitely don’t stick as much as a standard knitted glove would, but I have found they’re looking a little fluffy from their encounters. Grip has stayed firmly attached. On the internal construction however, I’d say they’re mostly effective at keeping the water out. However, there’s not really any insulation on them, and as water does soak into the outer glove, it can get pretty chilly in persistent cold wet weather or sleet. I’ve also found that once soaked, they tend to start to leak at the point where the fingers join – where your webs would be, were you half-frog (Ed – or from Calderdale). 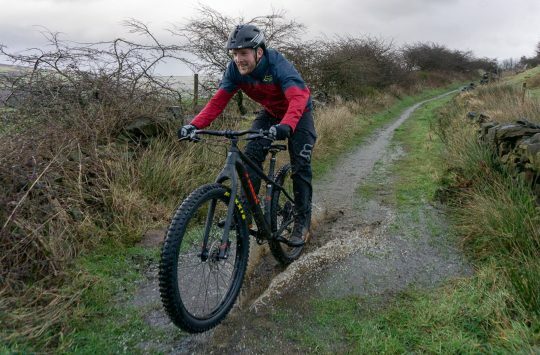 It does have to be pretty wet to reach that point, but on the mountain bike I find that’s a fairly exposed point in persistent rain. 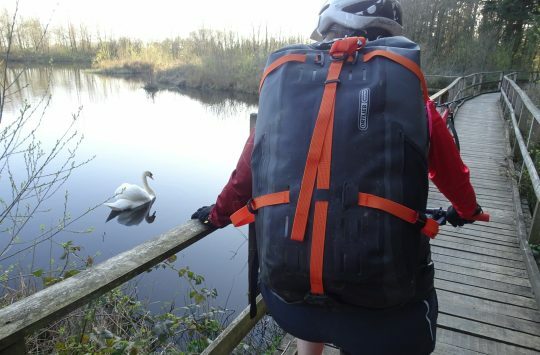 They’re not specifically designed for riding a bike, and perhaps their weak points in the webs of your fingers would be less exposed in other outdoor activities. The long wrist is good for staying sealed away from the rain. The fingertips have gone a bit bobbly after Velcro encounters. If it’s wet but not freezing weather, or you’re generating plenty of heat of your own, they’re an effective pair of gloves as they’re not sweaty, and I’ve never found my hands getting too warm in them. 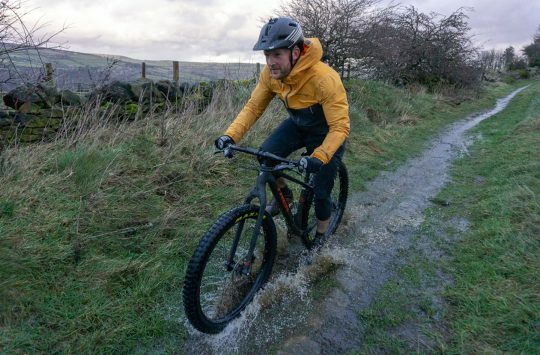 Their lack of bulk will suit many who don’t get on with winter riding gloves, and the nice long cuffs mean you can layer up your waterproof jacket effectively to keep the elements at bay. However, since there’s no touchscreen magic finger you’ll have to do battle with your Velcro cuffs and unlayer your defences should you need to answer the phone. A nice summer’s day in Calderdale. For all that they’re not perfectly waterproof, they have been worn and washed plenty of times, so they are performing reasonably well in spite of washing – something I find can significantly shorten the life of waterproof socks and gloves. The fact I’ve worn them quite so much perhaps also suggests that they’re really quite useful, particularly for shorter rides such as commutes where there’s not so much exposure as on the high hills. 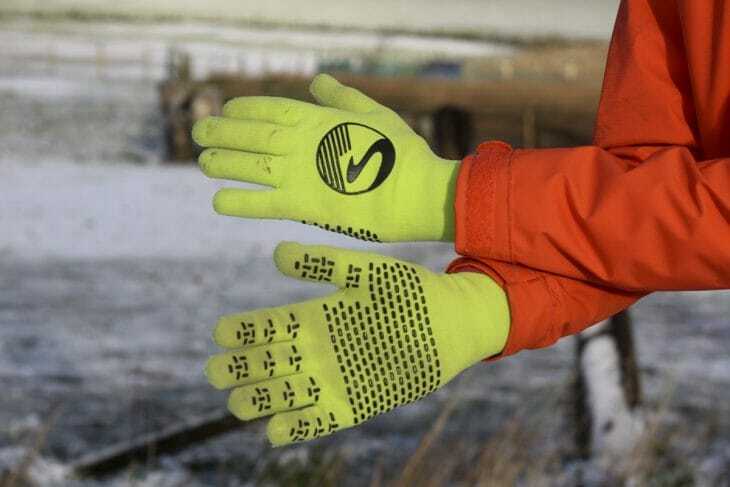 A multipurpose pair of mostly waterproof gloves for which you will probably find a multitude of uses. Dear god, 34 quid for a pair of gardening gloves. DezB, you’re a guy with humor!))) I use cold weather hunting gloves too. However, they were cost 12 dollars, lol.